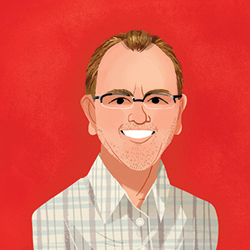 Meet Mark Betcher, Manager of Payroll Services for the University of Winnipeg. Mark began his payroll career over 20 years ago. Since then he has worked in Payroll for a number of organizations and accepted his current position at the University of Winnipeg in 2009. Here’s his story. I am an active volunteer with the Canadian Payroll Association holding numerous roles since 2003. I am currently the Vice-Chair – Prairie Regional Council and the Chair – Provincial Government Relations Advisory Council (PGRAC). In addition, I am also a Professional Development Seminar (PDS) instructor for the CPA instructing many of their PDS’ on a regular basis. Avanti has given me flexibility in the way we process our payroll. I also appreciate the T4 and Year-End functionality Avanti provides. I am able to reconcile in a much better format and way than I used to. I like that I am able to ensure the T4s are correct before they are processed through the system rather than being told I have to run my T4s on a certain date – even if I am not ready. This way I know our T4s are correct and that our employees can feel confident they have the right information showing. It has a culture all its own compared to the other organizations I have worked for over the span of my payroll career. There is no black and white here, only millions of shades of gray. No two situations are the same and that is what makes this place so interesting and challenging. There are so many different types of employees on our payroll as well – from office staff to faculty to trades – we have a very diverse workforce. Look at Mark’s super transformation in The Little Book of People Management Superheroes: Volume 2.